Review Mandriva Linux recently announced the Mandriva Flash 2008 Spring operating system, the latest version of its Linux-on-a-USB-stick distro. 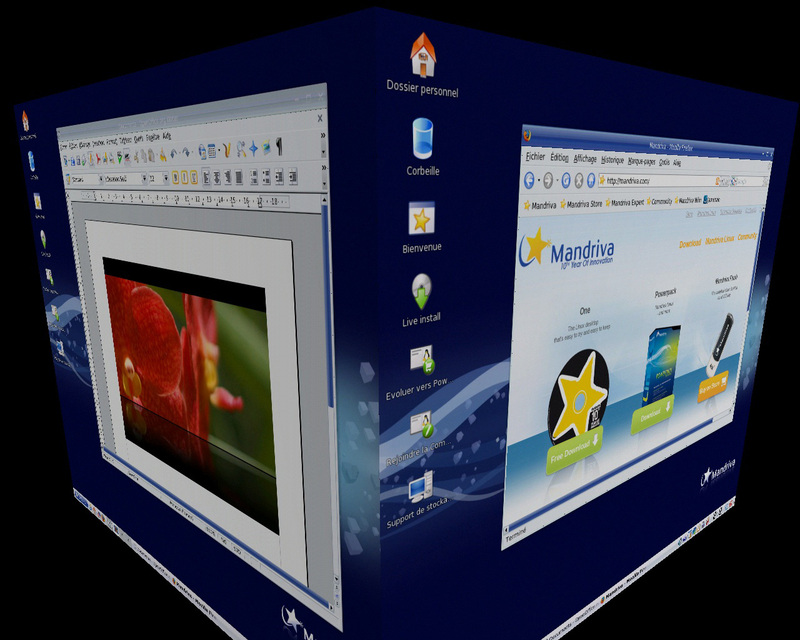 Mandriva, formerly Mandrake, was once the darling of the Linux community and managed to strike a nice balance between cutting edge features and newcomer friendliness. While Ubuntu has surpassed Mandriva as the current Linux darling, Mardriva continues to deliver a strong distro. While the non-free aspects of Mandriva might make purists hesitate, others will appreciate the ready-to-go capabilities of the Flash distro - plug it in and boot. In our experience, everything just worked. The latest Flash sticks have been bumped from 4 GB to 8 GB and pack in a speed boost as well. Mandriva claims the new keys can manage 4.6MB/sec write speeds and an impressive 18.7MB/sec read speed. Mandriva Flash 2008 Spring includes a number of proprietary features like Sun Java, Adobe Flash, RealPlayer, Skype, and the Codeina multimedia codecs for playing MP3s and more. As with the Fedora Flash distro we looked at when Fedora 9 was released, the Mandriva Flash version features fully persistent data and system upgrades. You can also do a full install directly from the USB stick. One thing Mandriva includes that you won't find in Fedora is a CD image for PCs that can't boot from USB. To use the CD tools you need to first write the image to a CD (it'll fit on a business card CD for added portability), and boot from the CD, which then bootstraps the Flash drive. Another nice feature is ezBoot, which reboots the host PC into Linux without going through the BIOS settings. We're not sure how often we'd actually reboot from a Flash stick - it's generally a plug in, work and unplug thing - but the reboot features are there if you need them. As for what you get in the 2008 Spring edition of Mandriva, it's a KDE build with the usual assortment of apps - Firefox 2, Thunderbird 2, Konqueror and various other "K" apps. It's worth noting though that Mandriva wisely opts for OpenOffice over KOffice. Given that KOffice has some issues with both the ODF and DOC file formats, OpenOffice is probably the better choice for most users. Mandriva also includes its Control Center app which makes fiddling with settings and administering you machine much easier than the default KDE panels. Another nice touch is that the default Firefox page leads to a collection of resources and links for optimizing Mandriva. Mandriva Flash 2008 Spring comes with a migration tool for Windows users. It's not hard to import Windows settings and documents should you decide to install straight from the USB version. If you've already got a Mandriva Flash, a 2008 Spring update will be available free of charge. You should receive an email with download links and upgrade instructions. There's an upgrade path available from 2007 Spring up to the current version.